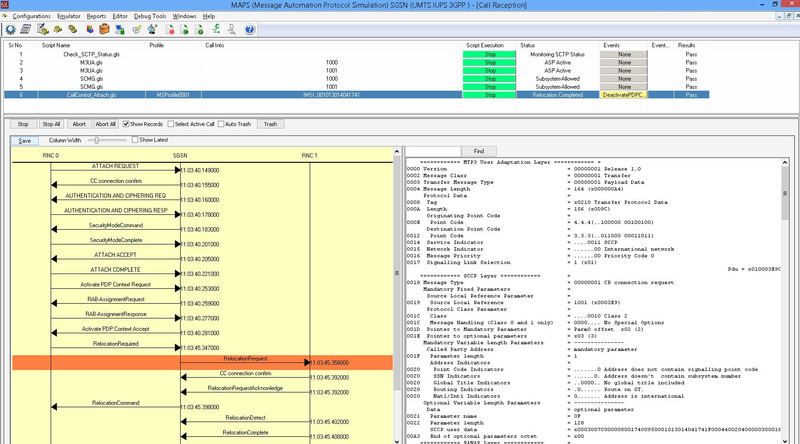 MAPS™ UMTS IuPS Interface Emulator Software Ver 7.11.8 (64-bit Only) | Download Now! UMTS, or Universal Mobile Telecommunications System is a 3rd generation mobile technology evolved from GSM technology. It uses W-CDMA (Wideband Code Division Multiple Access) as radio access. With increased spectral efficiency and high bandwidth, UMTS can support broadband data, voice and video. The underlying transport for UMTS in the core network can be Asynchronous Transfer Mode (ATM), or IP. UMTS supports integrated services such as multimedia and global roaming to mobile users. In essence, UMTS IuPs interface is the Gateway to the World Wide Web. 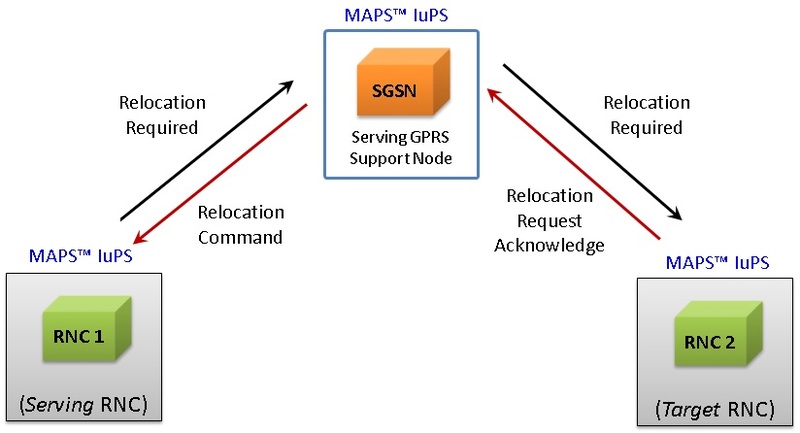 More precisely, IuPs, as shown in the figure, is the interface between the RNC (Radio Network Controller) and the SGSN (Serving GPRS Support Node). SGSN manages mobile location whether within the carrier's network or roaming outside. Once a user turns on her mobile, a new IP address gets assigned and IP connectivity is available with quality of service (bit rate allocation) based on subscription, and tunnels are created for mobile flows to/from that mobile. These data tunnels carry encapsulated traffic such as http, ftp, email, etc. SMS may also be carried by the signaling plane to/from the mobile. 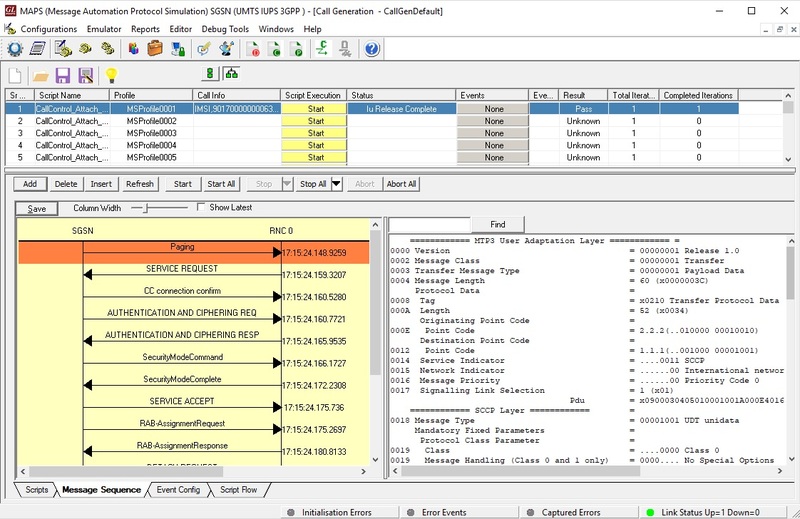 IuPs emulation and analysis can be very important in the design, verification, and troubleshooting of a carrier's mobile data network. 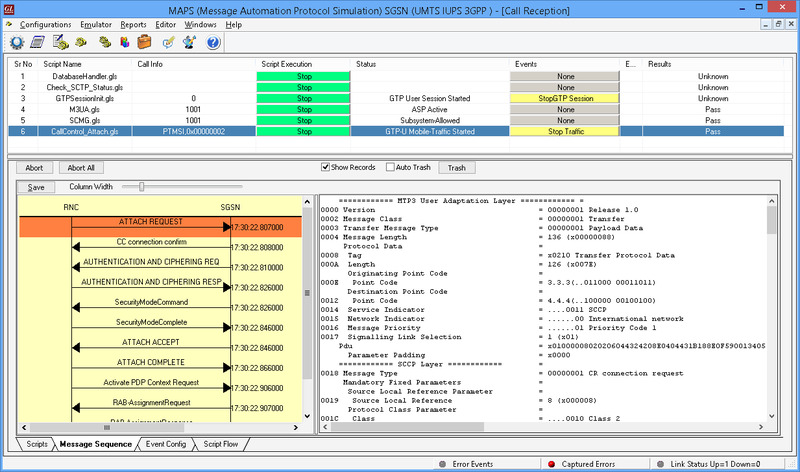 GL's Message Automation & Protocol Simulation (MAPS™), is a protocol simulation and conformance test tool that supports a variety of protocols such as SIP, MEGACO, ISDN, SS7, GSM, LTE, and many other TDM, IP, and Wireless protocols. MAPS™ has been enhanced for testing UMTS IuPs interface. 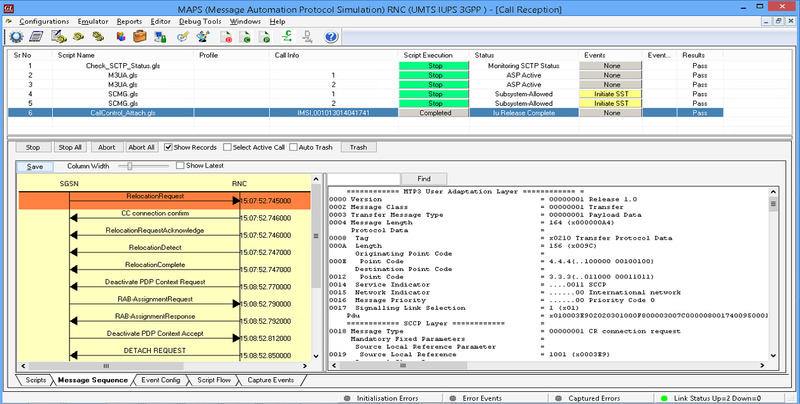 It can simulate RNC (Radio Network Controller), and 3G SGSN (3G Serving GPRS Support Node) by generating RANAP and DTAP signaling messages over SCTP as Transport layer in an IP network as defined by 3GPP standards. The product also supports Mobile traffic core – GTP (ETH101) simulation for user-plane packet transmission and reception services between any two nodes in LTE and UMTS networks. Mobile Traffic Core – Gateway (ETH102) module allows simulation of Gateway Traffic to test media gateway telephony interfaces over IP. These modules also support generation and verification of data traffic such as Email, FTP, Web (HTTP), Video, and more. 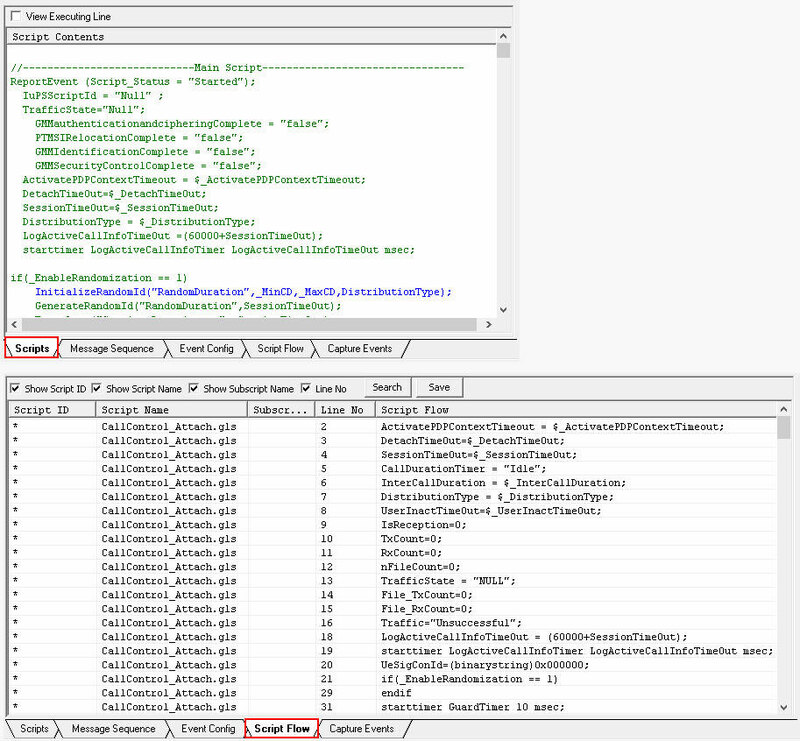 Simulates RNC, and SGSN network entities. Generates and supports all GPRS Mobility Management, Session Management, RANAP and DTAP messages. Supports GPRS Attach, Detach procedures, RUA, Paging, and Handover (Relocation) procedures. Supports M3UA termination type as a signaling gateway process (SGP), an application server process (ASP), or an IP server process (IPSP). Paging is used by the network (SGSN) to request RNC that the establishment of PS signalling connection or to prompt the mobile to re-attach if necessary, as a result of network failure. 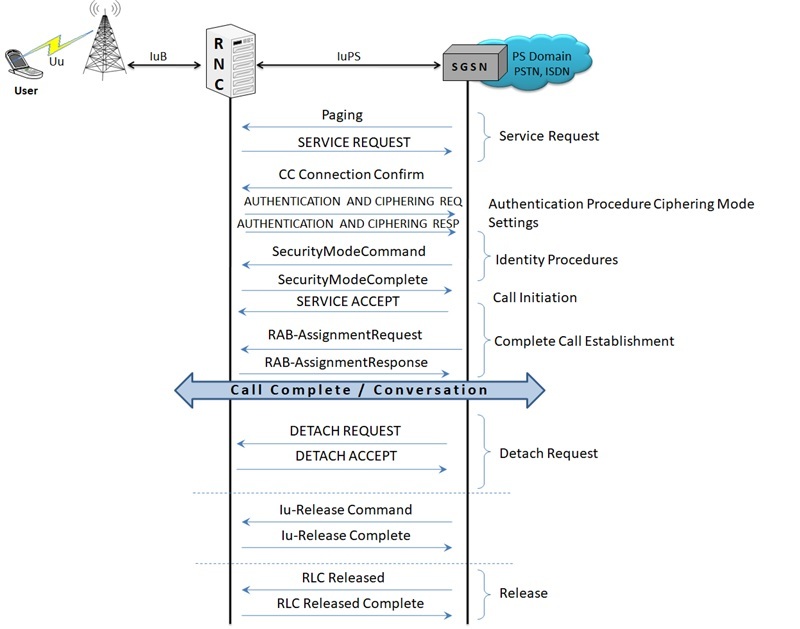 If the MS receives the paging indication in the same access network, as when it last sent user data or signalling information, the MS (RNC) shall send the SERVICE REQUEST procedure indicating service type "paging response". The network (SGSN) shall initiate the paging procedure using P-TMSI when user data is pending to be sent to the MS (RNC). The network may page only MSs (RNC's) which are GMM-REGISTERED and identified by a local P-TMSI. This procedure is only performed for a UE in CONNECTED state where the Iur interface carries both the control signaling and the user data. The Serving SRNS Relocation procedure is used to move the connection between the RAN and the CN for the source SRNC to the RAN for the target RNC, from a "standing still position". In the procedure, the Iu links are relocated. 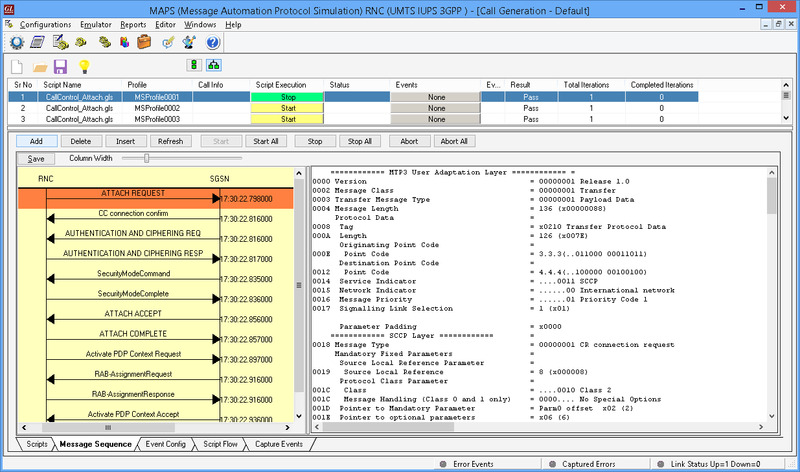 If the target RNC is connected to the same SGSN as the source SRNC, an Intra-SGSN SRNS Relocation procedure is performed. 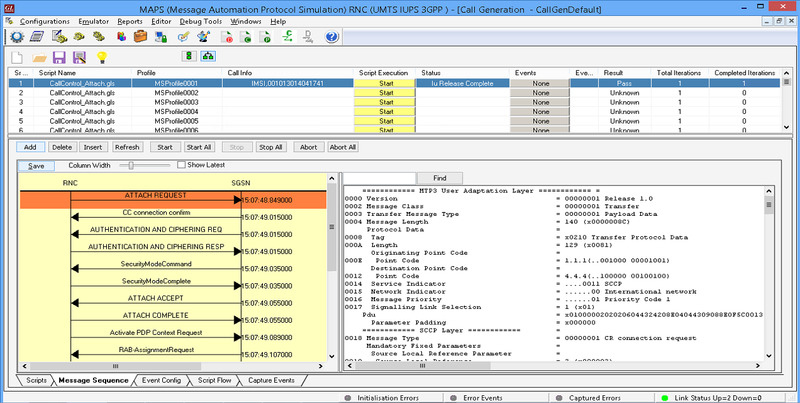 The procedure can be simulated in lab using MAPS™ IuPS configured as both Source RNC and Target RNC interconnected via SGSN.